Women's Health Groups Angered By Morning-After Pill Moves : Shots - Health News Days after President Obama became the first sitting president to speak before Planned Parenthood's national conference, the administration alienated some women's health groups with a controversial decision about access to emergency contraception. 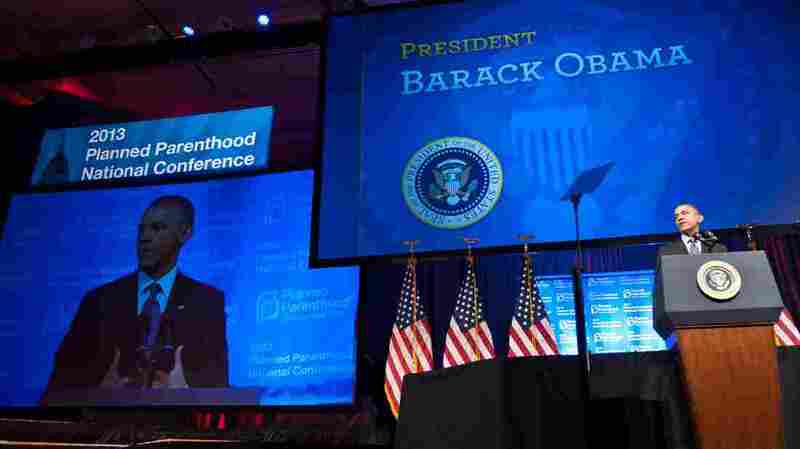 Soon after President Obama spoke at Planned Parenthood's national conference in Washington, D.C., last Friday, the administration alienated some women's health groups. The administration's actions this week on emergency contraception have left many women's health groups sputtering with anger. But what really has some of the President Obama's usual allies irritated is the fact that the moves are in direct contrast to speeches he made in just the past week. Recall that on Tuesday the Food and Drug Administration defied a federal judge's order to make the morning-after pill available over-the-counter to women of all ages by approving a more limited scheme. On Wednesday, the Justice Department formally appealed the federal judge's ruling. 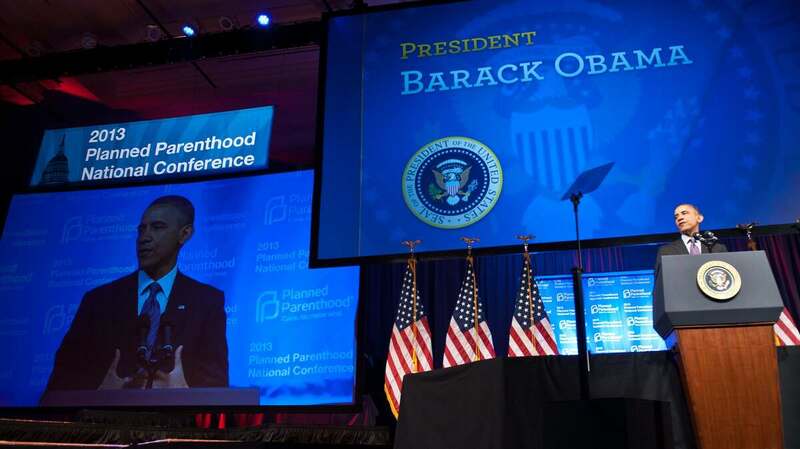 Yet only last Friday, Obama became the first sitting president to address Planned Parenthood's national conference. His spirited defense of reproductive rights included this statement: "We shouldn't have to remind people that when it comes to a woman's health, no politician should get to decide what's best for you." And on Monday, he said this to the National Academy of Sciences: "[I]n all the sciences, we've got to make sure that we are supporting the idea that they're not subject to politics, that they're not skewed by an agenda, that, as I said before, we make sure that we go where the evidence leads us." But now, many women's health advocates say the administration isn't putting its actions where the president's rhetoric has been. "It doesn't square and that is what's so disappointing," said Nancy Northup. She's president and CEO of the Center for Reproductive Rights, one of the groups involved in the emergency contraception lawsuit against the administration that's prompted this week's activity. "There couldn't be a clearer record than there is in this case that emergency contraception is safe and effective for all ages, that we had not one but two administrations who continued to put what they judged as the politics of the issue about contraception ahead of what's doing right for the public health," she said. Health and Human Services Secretary Kathleen Sebelius overrode the FDA's decision to remove the age restrictions in 2011. She said she was worried that the youngest teens wouldn't understand how to use the product safely. But that's not a concern for the nation's pediatricians, who support full over-the-counter access to the drug. "We get derailed over and over again in people's ethical and moral concerns about whether teens should be sexually active, and not that this is a safe drug that can be and should be available to all women of reproductive age," said Dr. Cora Breuner. She's a professor of pediatrics at the University of Washington and co-author of the American Academy of Pediatrics position paper on Emergency Contraception. Women's health advocates say even the steps the FDA did take this week — to lower the age for sale of the drug without a prescription from 17 to 15 — doesn't do much, because they still have to show identification. "15- and 16-year-olds are much less likely to have an actual government ID with your birth date on it," said Susan Wood, a public health professor at George Washington University and a former assistant commissioner for women's health at FDA. "So that ... doesn't really expand access to that age group very much." In fact, what really worries the women's health groups is that idea that this fight that has already gone on for more than 10 years, now could stretch out years longer.